Massanutten Resort boasts the most vertical drop in Virginia, Maryland and Pennsylvania with 1,110 feet of thrilling terrain. All 14 trails are open to skiers, snowboarders, and skiboarders, and all 14 trails are lighted for night skiing! 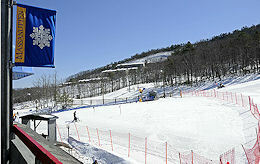 Massanutten Ski Resort also offers snow tubing and two great terrain parks that are open to skiers as well. In addition to the main park, Massanutten has opened the Easy Street Terrain Park, also featuring its own lift. Easy Street uses smaller features catering to the learning process of novices. The park’s staff groom, hand shape and change the layout of both parks daily to keep them fresh. Each day, Terrain Park reports are posted in the ticket windows and on the website, providing the layout of the parks and useful tips to make your day in the parks safer and more enjoyable. The main Terrain Park is open to snowboards, twin-tip skis, and snowblades only. This season our parks will continue to be the best with more rails and other challenging features for your park riding experience. Live music every Friday & Saturday night at Encounters Lounge 9 pm – 1:30 am with DJ starting at 8 pm. 21 & up only with valid ID. $7 cover charge. Show your slope-use ticket for free admission! Check out their entertainment schedule here! Shop Massanutten’s Online Store for Gift Cards & More! Massanutten Resort now has gift cards! The perfect gift for anyone that loves Massanutten! Click Here for their Online Store! 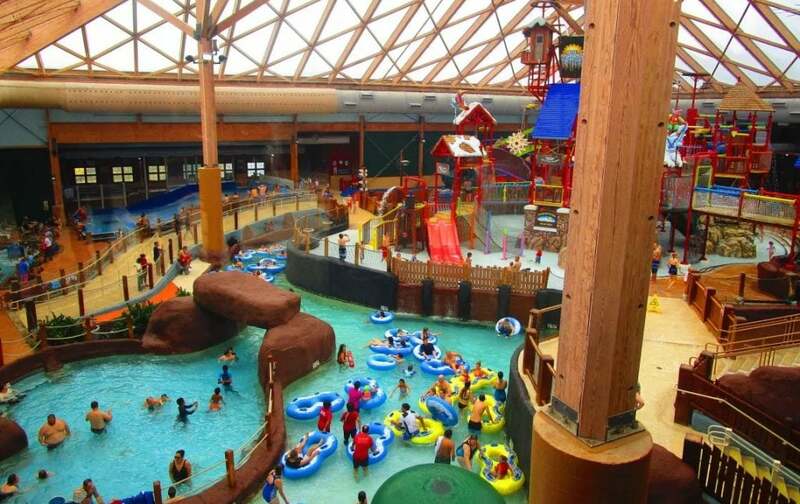 Indoor WaterPark, spa & ski packages available. Visit massresort.com/specials for more info. 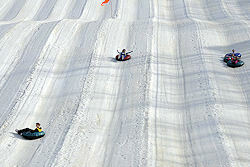 Nearly everyone can enjoy the snow at Massanutten Resort in their Snow Tubing Park, the most awesome, family-fun-loving, Snow Tube Park in the Mid-Atlantic region! Come spend a day with the family for an experience you won’t forget, but plan ahead because spaces are limited and dates sell out quick. The bottom terminal of the new lift was moved approximately 30 feet up the Southern Comfort trail for improved crowd control and traffic flow. The top terminal was also moved closer to lift # 6 and was raised to improve traffic and allow better access to lift # 6. The Southern Comfort Trail was also widened at the top and bottom to improve traffic flow and to accommodate the increased capacity of the new lift. Other improvements to the ski area include a new Bombardier snow groomer, new and retrofitted snowmaking equipment, increased lighting on Southern Comfort, renovations to the lodge and rental shop and a 2000-square-foot expansion to the General Store. The new lift and these improvements will make your winter visits to Massanutten even more enjoyable. The truth is winter is not the only time to enjoy Massanutten! They feature zip lining, a Spa, and one of the coolest indoor/outdoor water parks in the region. There are numerous ski chalets located on and around the resort and there are several stay and ski packages. Amazing choices for LODGING! CLICK HERE!